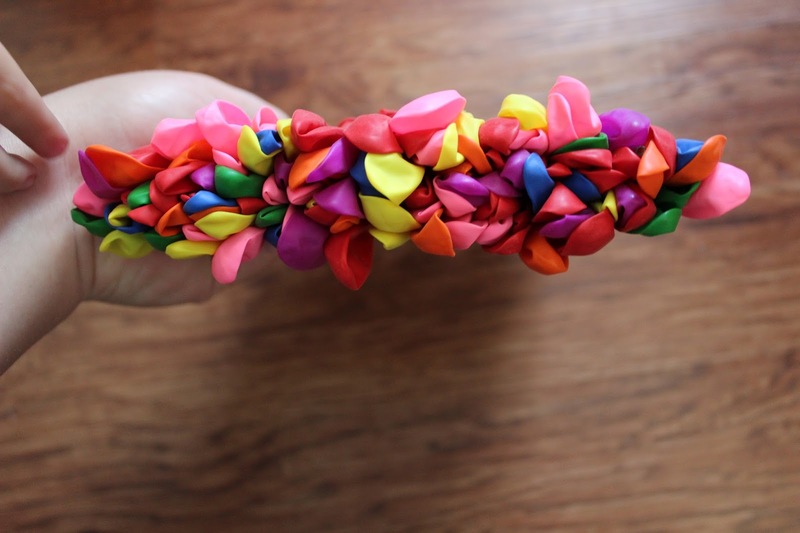 Allows you to fill 37 balloons at once! Yes, you read that right.. 37! The balloons are held on by tiny, little elastics. 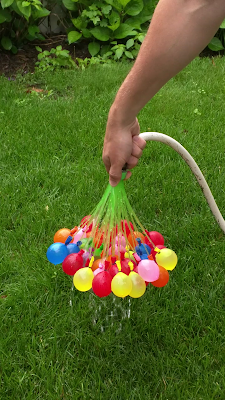 We had a ton of fun playing with these water balloons. 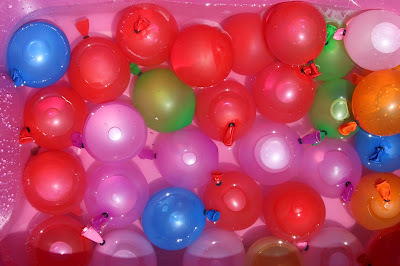 It was so nice to not have to sit in front of the faucet for 30 minutes and only get 20 balloons filled up. With the Balloon Typhoon, I filled up over 100 balloons in under a minute! Crazy, I know. 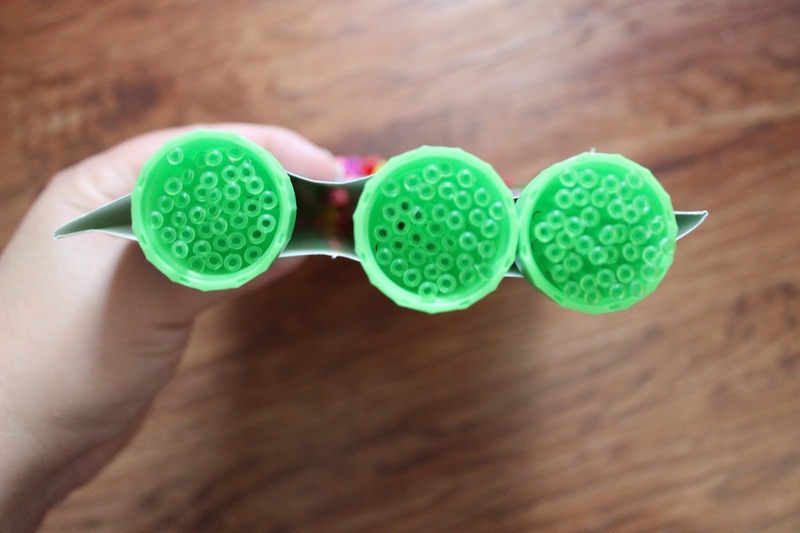 We also figured out that the tubes, when left on the hose after the balloons are filled, can be used as a sprinkler! So we not only had fun with the balloons, but we were able to repurpose the tubes that fill them up! 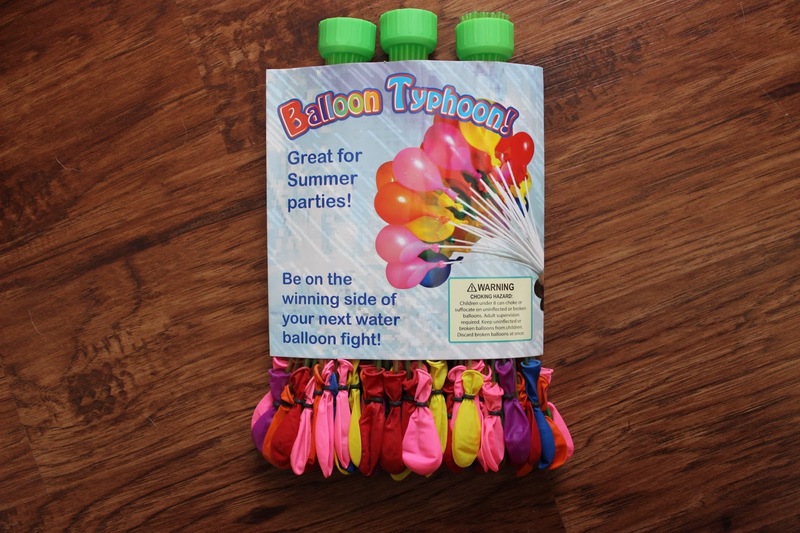 The Balloon Typhoon attaches to any standard size hose. The balloons pop easily when thrown. Perfect for a cool down on hot summer days. Great for birthday parties! *Disclaimer~ I received this product in exchange for my honest review. All opinions are my own! If you have any questions or concerns, please email me at acraftyhoneybee@yahoo.com.